Seaborgium, a transactinide, is the heaviest element that has been studied in aqueous solution. A synthetic element, it was first produced at the Joint Institue for Nuclear Research in the former Soviet Union in June of 1974. In September of that same year, a team at the Lawrence Berkeley National Laboratory also succeeded in producing the element. Despite the Soviet team's priority for this discovery, the element was named after the American chemist Glenn Seaborg, a winner of the 1951 Nobel Prize in Chemistry and the co-discoverer of 10 transuranic elements, as part of a compromise agreement concerning the naming of elements 104 through 108. Seaborg's actinide concept transformed the periodic table, and he served as chairman of the United States Atomic Energy Commission for 10 years. Later in life, he was an ardent supporter of science education and science literacy. 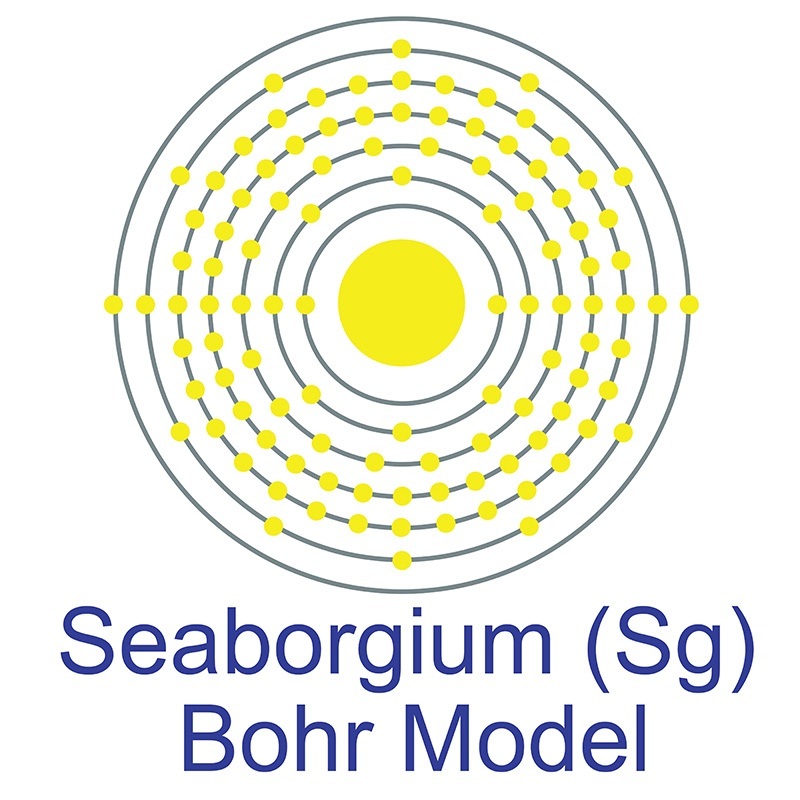 Few atoms of seaborgium have been produced, all isotopes with very short half-lives, making it one of the more challenging elements to study. The element has no practical applications. Seaborgium is a D-Block, Group 6, Period 7 element. The number of electrons in each of Seaborgiums shells is 2, 8, 18, 32, 32, 12, 2 and its electron configuration is [Rn] 7s2 5f14 6d4. In its elemental form, Seaborgium's CAS number is 54038-81-2. Seaborgium's appearance is unknown but it is thought to be silvery, white or metallic gray. Seaborgium is a synthetic element and therefore is not naturally found in the environment. Little is known about the element and it has no known uses. Seaborgium was first created in 1974 at the Lawrence Berkeley National Laboratory and the discovery was later confirmed in 1993 at the same institution. Seaborgium information, including technical data, properties, and other useful facts are specified below. Scientific facts such as the atomic structure, ionization energy, abundance on Earth, conductivity, and thermal properties are included. Seaborgium (Sg) is an artificial element. Like all artificial elements, it has no stable isotopes.